John J. Coyle, Jr. received his B.S. from University of Dayton in 1965. He received his J.D. from University of Notre Dame in 1968. He was admitted to practice in New Jersey in 1968 and Pennsylvania in 1977 (currently inactive). After graduation from law school, Mr. Coyle served as a Captain in the United States Army and spent a year in Vietnam as Legal Officer to the “Gary Owen” Brigade of the First Air Cavalry Division 1969-1970. While serving in Vietnam, he was awarded the Bronze Star and Air Medal. From 1970-71, he served a clerkship with the Honorable Robert Shaw of the United States District Court. From 1973-78, Mr. Coyle served as a part-time Assistant Prosecutor in Warren County. He then served as First Assistant Prosecutor from 1978-1981. He handled numerous criminal matters from initial complaint through Grand Jury and trial. In 1973, he also started a general practice law firm in Phillipsburg, New Jersey with emphasis on Litigation, Personal Injury, Municipal and Real Estate. He represented a number of municipalities including the County of Warren, Planning Boards and Boards of Adjustment as well as major developers. He also handled in both Federal and State Court a broad variety of litigation involving automobile accidents, product liability, medical/legal malpractice, including legal malpractice defense, personal injury, construction litigation, chancery matters involving easements, quiet title and condemnation, real estate, criminal defense and workers compensation. In 1982, Mr. Coyle was in the first group of attorneys in the State of New Jersey to be Certified as a Civil and Criminal Trial Attorney. 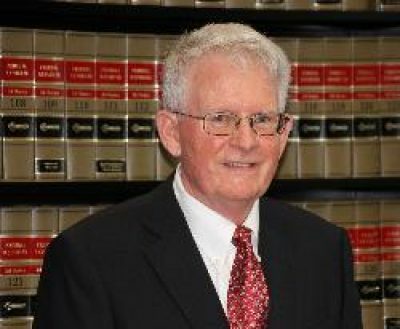 In January 2002, Mr. Coyle was appointed a Superior Court Judge and was reappointed in 2009. During his career as a Judge, he served in the Civil, Probate, Chancery, Family, Juvenile and Criminal Divisions sitting in Belvidere and Somerville, NJ. He concluded his career by serving as the Acting Presiding Judge of Civil for Vicinage XIII which consists of Somerset, Hunterdon and Warren counties. While on the bench, he served on the Civil and Criminal Model Jury Charge Committees. After retirement, he was appointed by the Chief Justice to serve on the Supreme Court Advisory Committee for Expedited Civil Actions. Mr. Coyle’s professional associations and memberships include being appointed by the Governor to the Veterans Services Committee, 1980-1984, serving on the District XIII Ethics Committee of the Supreme Court of New Jersey, 1998-2002, Warren County Bar (President, 1984-1985), New Jersey State Bar (Trustee, 1994-2000).